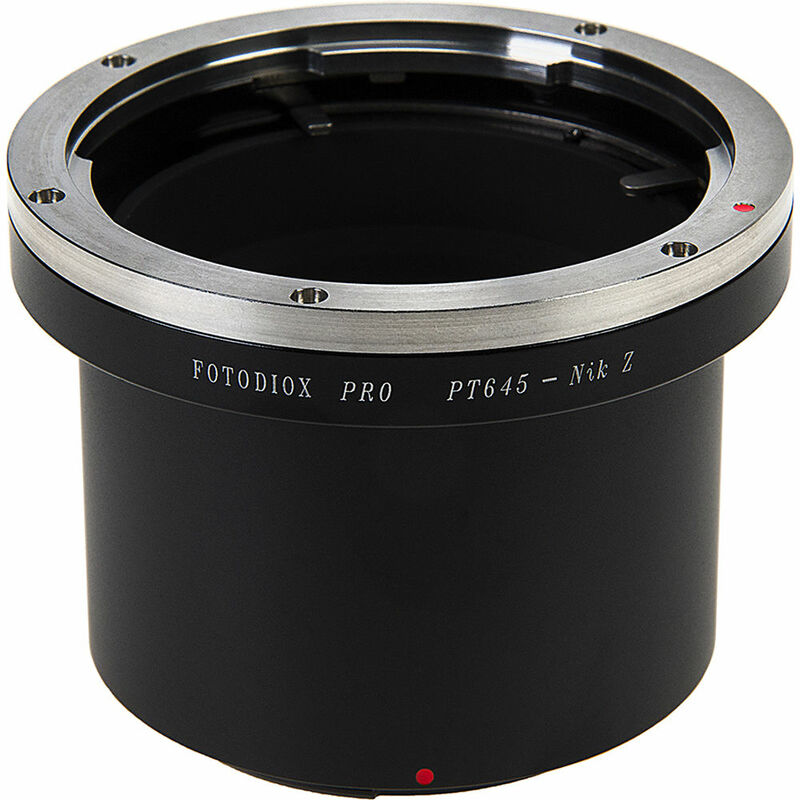 This Fotodiox Pro Lens Adapter allows you to attach Pentax 645-mount lenses to your Nikon Z-mount mirrorless camera body. This adapter has a fully manual design, which does not relay electronic communication between the camera and lens, and maintains infinity focus along with the ability to use aperture priority metering. It's durable all-metal design also features chrome-plated brass lens and camera mounts to ensure a precise, no-play fit. Additionally, a tripod mount is incorporated at the base of the adapter for improved stability when working with heavier adapted lenses.